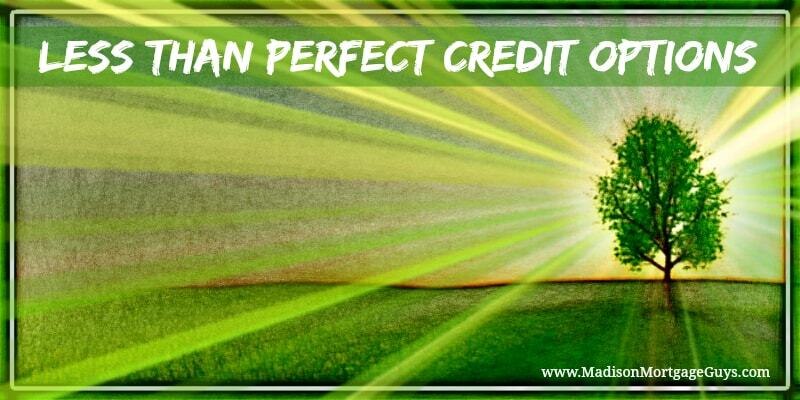 Has less than perfect credit left you in the dark? Let us shine some light on your options! We have a variety of programs tailored for borrowers that have a less-than perfect credit history. Many potential home buyers come to us after they have been turned down elsewhere, and often by numerous lenders. The primary difference between us and other lenders is that we view low credit scores, low income, low home equity, and marred credit histories simply as unique challenges rather than impossible obstacles. Although our loan officers do not perform miracles, they are incredibly skilled at finding solutions for difficult circumstances. We will begin by getting an understanding of the collections and charge offs on your record. Then we will evaluate your credit, analyze your income, and make an assessment of your home’s value and any remaining debts you have. After that, we’ll get to work on refinancing your home, financing a new home purchase, or simply getting you some cash. We understand the frustration many people experience by the Catch-22 of credit building — most lenders won’t give credit without an established credit record, but you can’t establish credit without it being granted by a lender. We want to reverse this trend. We believe there are other factors that compensate for a lack of credit. We make it possible to get a great loan with little to no credit. Programs are available designed specifically for borrowers with no credit history. Knowing which program fits your situation best is what differentiates us from the rest. Contact us today or for more information you can fill out our Online Application. When people search for a home mortgage with little to no down payment, they often neglect some other important items in the home buying process. Here are some common mistakes that can be avoided with a little work. Understanding how an FHA loan works can relieve stress for home buyers in the same kind of way. Here are some of the major points to consider. The VA program has gone well beyond helping a group of returning soldiers obtain a loan to the point that whole generations have benefited from the VA's efforts. For people that meet the requirements a VA mortgage beats out other types of home loans in big ways. Over the past 5 years many areas in the country have seen sharp declines in home values. Thankfully, that trend is starting to reverse. For this reason, most lenders are placing a lot of scrutiny on an appraisal for people considering a refinance. The appraisal is designed to ensure that the value assigned to the home matches the local market.